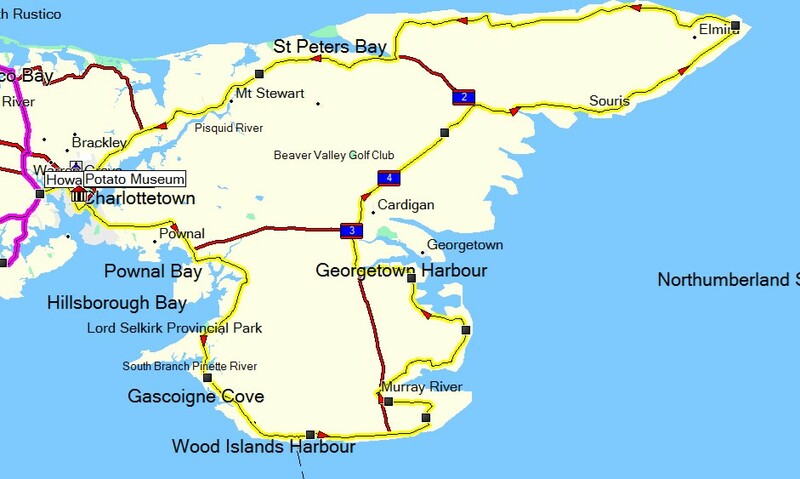 The strait extends 225 km west-northwest to east-southeast from Richibucto Cape, NB, to Cape George, NS, with a width of 13-43 km. It is 68 m deep at its eastern end but less than 20 m over a large central area. Preglacial and glacial valleys eroded into red sandstone and siltstone lead from both ends into the floor of the Gulf of ST LAWRENCE. The retreat of glacial ice from the strait and surrounding area about 13 000 years ago was followed by flooding by the sea. Soon after, isostatic uplift excluded the sea from the central area, which became an isthmus joining opposite coasts. By 5000 years ago, the rising sea level had flooded this link, establishing the strait, which has been deepening slowly. A generally shallow depth causes strong tidal currents, water turbulence and a high concentration of suspended red silt and clay, which led early French colonists to name the strait "la mer rouge." Shallowness is also largely responsible for the warmest summer water temperature in eastern Canada (July, 20°C or higher) and a consequent concentration of summer tourist activity, as well as a prolific shellfish and lobster fishery. Equable climate and extensive tillable soils form the basis for mixed agriculture and vegetable growing (particularly POTATOES) on both coasts. 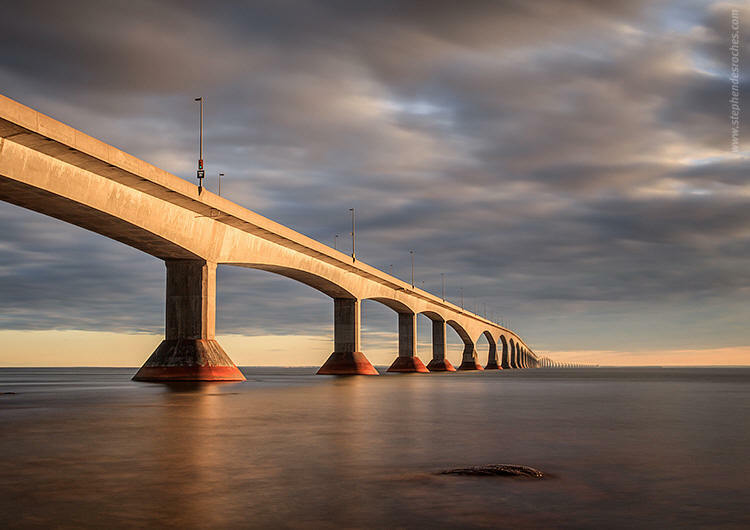 The Confederation Bridge joins the eastern Canadian provinces of Prince Edward Island and New Brunswick, making travel throughout the Maritimes easy and convenient. The curved, 12.9 kilometre (8 mile) long bridge is the longest in the world crossing ice-covered water, and a decade after its construction, it endures as one of Canada’s top engineering achievements of the 20th century. 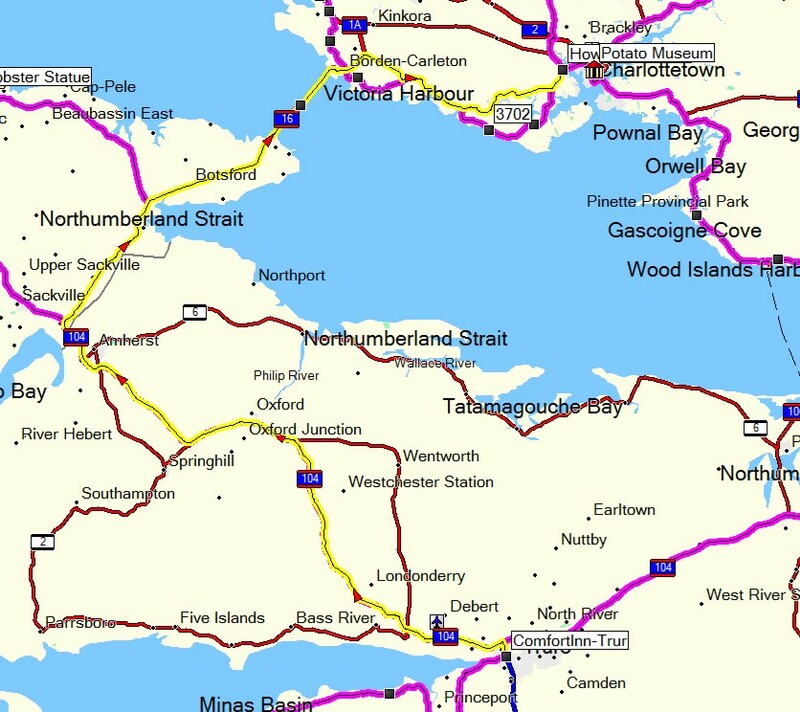 The decision to replace the existing ferry service with a fixed link followed a heated debate throughout the 1980’s. 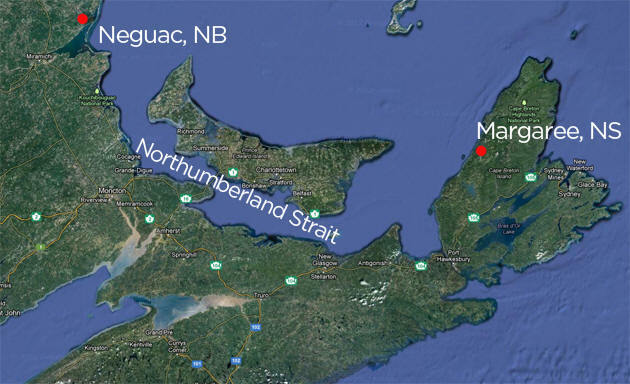 Farmers, fishermen, tourism operators and residents of Prince Edward Island had sharply contrasting opinions about how year-round access to the mainland would affect their way of life and livelihood. Eventually, it was decided that the debate would be settled at the polls. 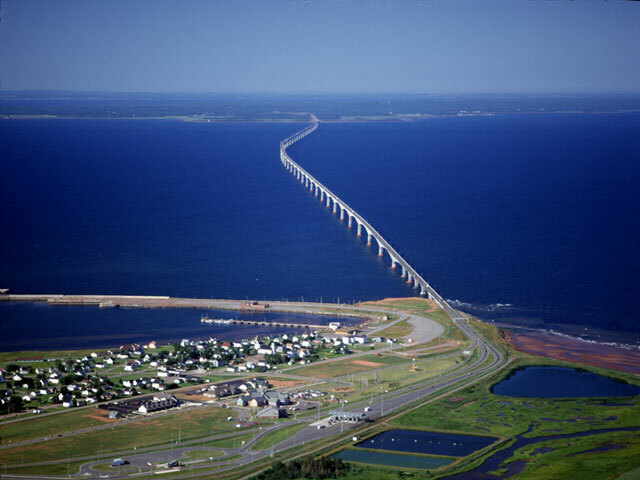 The federal department of Public Works and Government Services selected its favourite bridge design out of several proposals from the private sector, and on January 18, 1988, Premier Joseph Ghiz asked Prince Edward Islanders to make the final decision in a plebiscite. 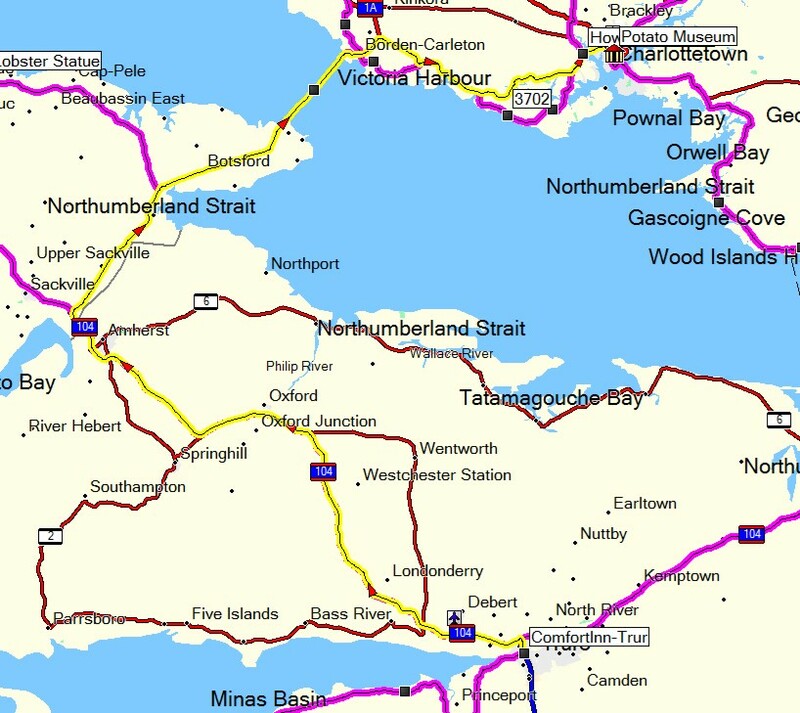 At the polls, 59.4 per cent of Islanders voted Yes to a fixed link. After four years of construction using crews of more than five thousand local workers, the Bridge opened to traffic in the spring of 1997, at a total construction cost of one billion dollars. Today, the Bridge is operated by Strait Crossing Bridge Limited, headquartered in the shadow of the bridge in Borden - Carleton, Prince Edward Island.